Laura Curry wants to help people. Laura Curry wants to help people help people. The Agreement takes a critical look at the relationships between need and support, the market place and the role of art and artists in a community. 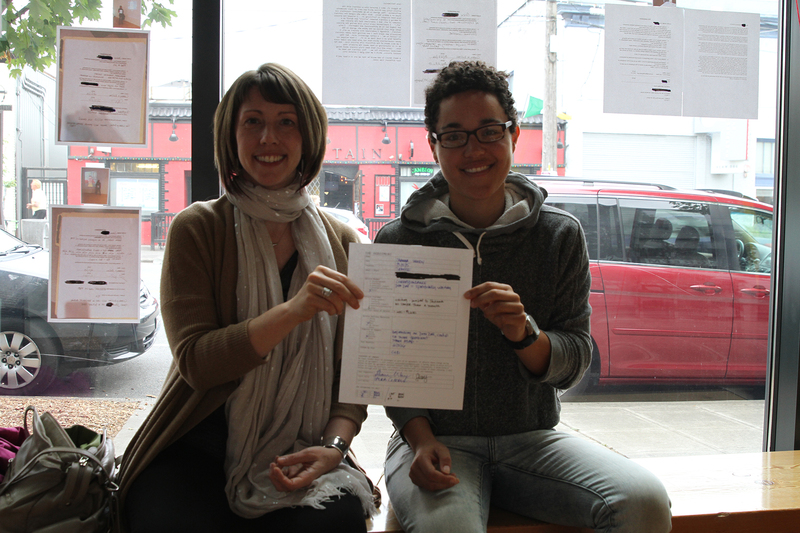 The Agreement began as a collaborative project by artists Laura Curry and Lori Dillon. The Agreement begins with public performances. 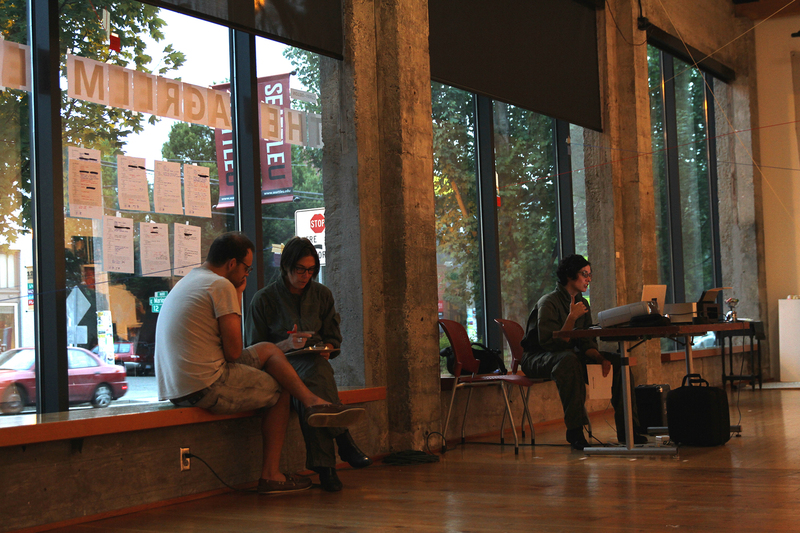 These performances consist of one-on-one conversations between the artists and one audience member at a time in a public space, on the street, over the phone, via the internet. The artists hold clipboards and welcome audience participants to engage in conversations about need and support. 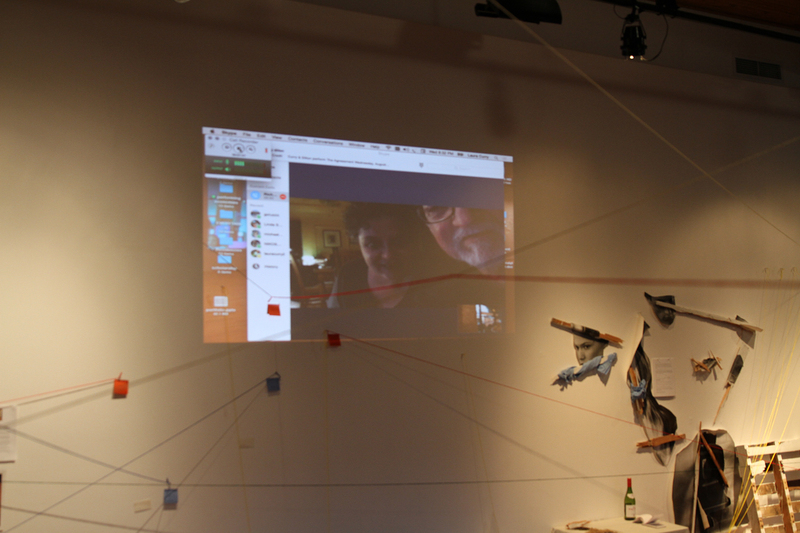 A computer and projector project Skype conversations with participants from anywhere in the world. The public is invited to enter the performance/installation space and may choose to simply walk around and observe, or participate in dialogic performance with the artist. 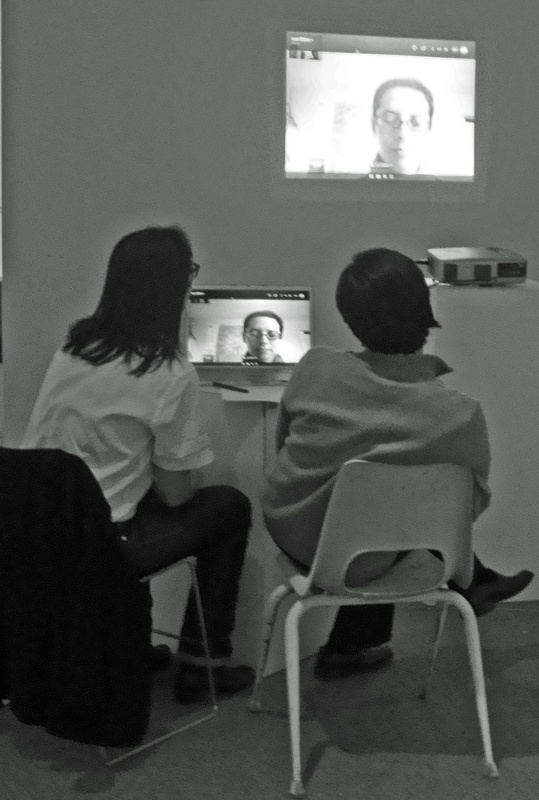 The audiences who choose to participate do so either in person, via Skype, or over the phone. The audience participants who engage with the artist via Skype (in response to online solicitations broadcast by the artist in advance of the performance dates) are projected onto the interior walls for in-person audience members to witness. The audience participants who engage with the artist via phone are placed on speaker for the in-person audience to hear. 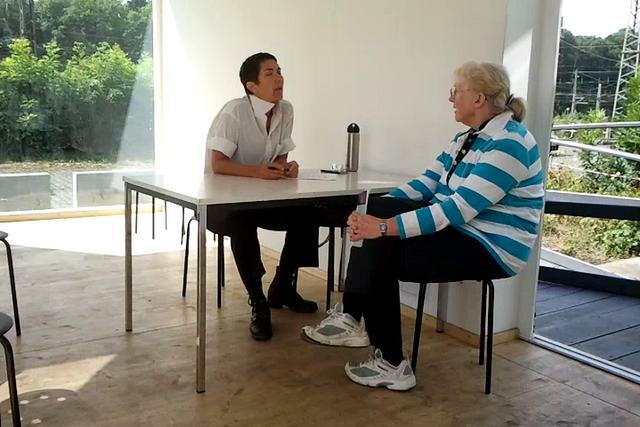 The one-on-one conversations uncover something for which the audience participant seeks support. Support may be conducted and an issue resolved in the moment of initial performance, or the support relationship may continue for up to 6 months via Skype, emails, phone calls, mail, and/or in person meetings. 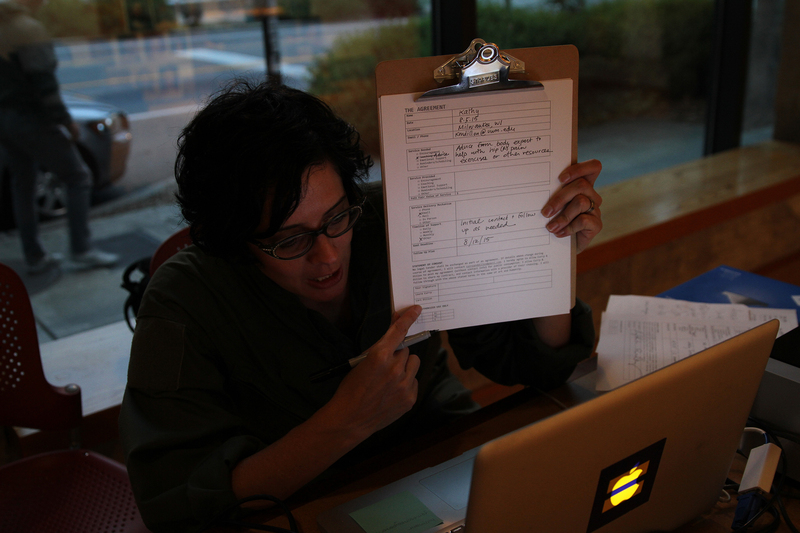 The artist and the audience participant create an agenda defining terms of support, which are written on a prepared form, titled The Agreement. The agreements are then publicly displayed where the artist act as a broker, creating a marketplace where Agreements are exchanged between participants. The artist request a reciprocal service from every audience participant who defines an Agreement need. 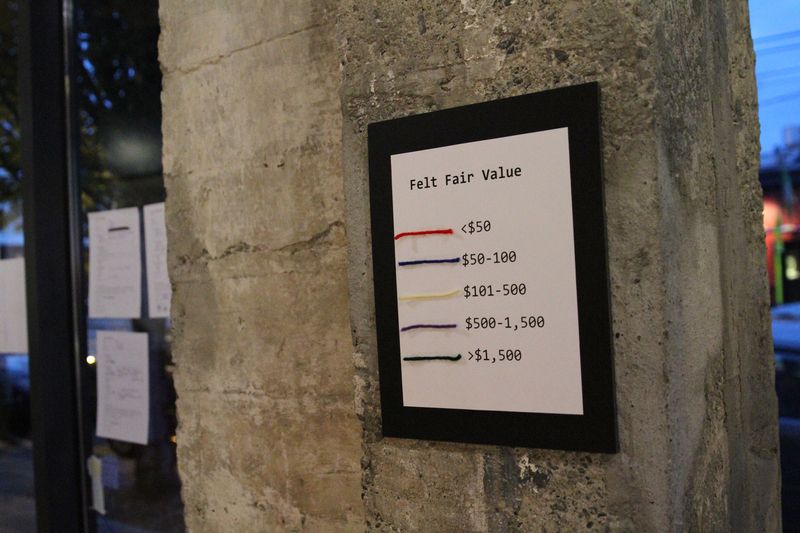 The agreements are represented as room a sized data visualization installation using felted yarn as an allegory to “felt fair value” for the service provider. 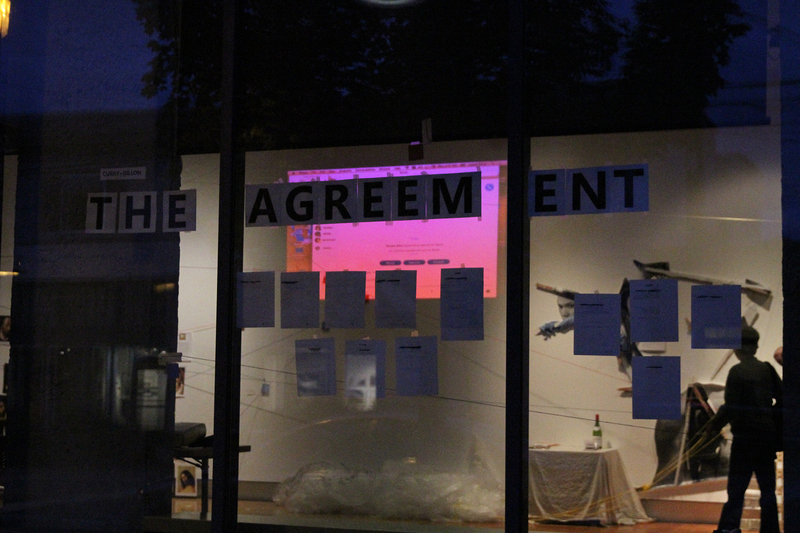 Ephemera of dialogic performances (photos, left-behinds, and copies of individual Agreements) are posted as part of the multimedia installation for the duration of the project. The Agreement has been conducted in Time Mutations, Buffalo/NY and Wiemar Germany; Documenta 13 Kassel/ Germany; ISEA Albuquerque/NM; Open Engagement Portland/OR; Yellow Fish // Epic Durational Performance Festival XV at the Hedreen Gallery, and Velocity Seattle/WA.